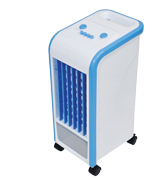 The humidifier mode will help you in terms of normalizing the dry indoor microclimate. On top of that, the oscillating function allows the device to evenly distribute both cold and humid air. 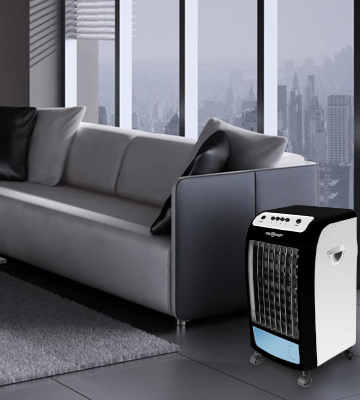 A mini air cooler Igenix IG9703 is a portable model with an array of convenient features that will be a perfect pick for a small office or any room in your apartment or a house. 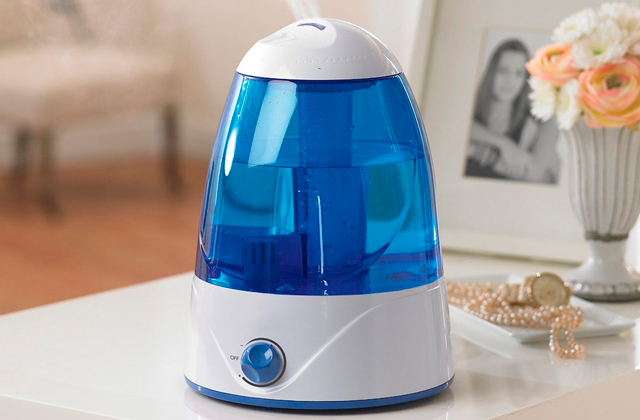 It comes with an ice tray that helps to cool and humidify the air. In spite of its small size, the ACO3 is capable of processing the air with the speed of 400 m³ per hour. A distinct rubber smell may be there during the first few uses. 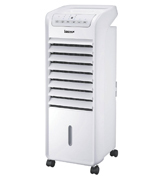 The air cooler with a fan and air cleaning functions will be a great choice for small and medium rooms. Plus, this model features a dust filter, simple interface, and a handy water indicator that will display how much water is left in the tank. The 7.5-hour timer makes the pre-cooling of the rooms a really easy task. 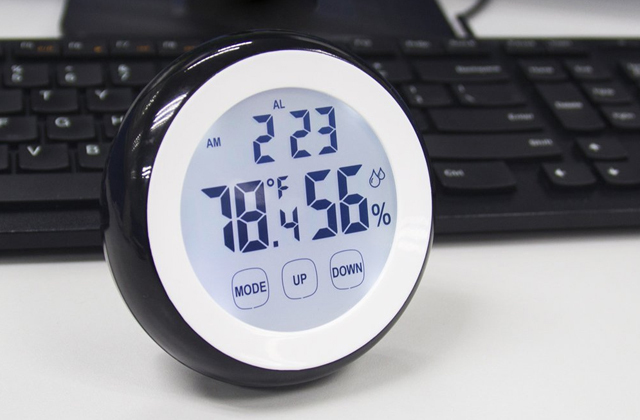 Moreover, this model has a simple user interface with an easy-to-read LCD display. 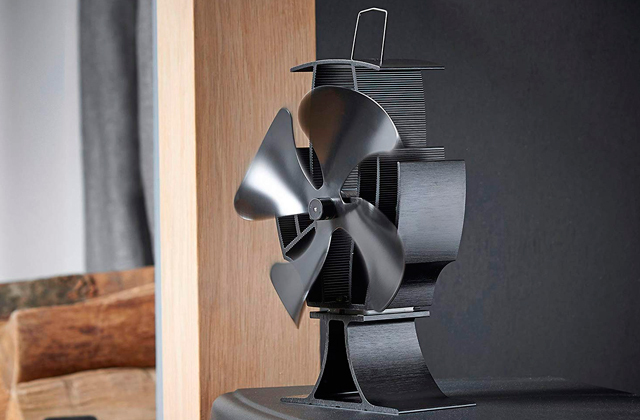 The fan can get quite noisy at maximum speed. A stylish and highly functional mini-cooler from MYLEK has 3 power settings and 3 sway modes that make it an all-around versatile model. A water tank with a capacity of 7 litres allows for using the cooler for prolonged periods of time without refilling. The model has a bulky appearance. 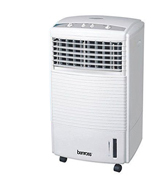 Benross air cooler quickly cools some of the smaller rooms. Despite its bulkiness, the cast wheels make it easy to move. Moreover, the model's low power consumption makes it great for daily use. The device turns off automatically in case of voltage jumps or motor overheating. All you need to do is plug it out after the fact. You have to replace the water pad every six months. 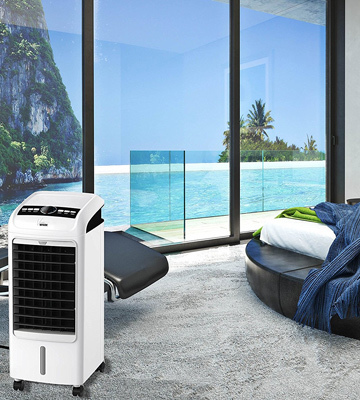 A compact air cooler with a fan from Prem-I-Air will prove to be a blessing during the hot summer heat. Its exceptionally lightweight design makes it easy to use almost everywhere, from bedrooms to workshops. 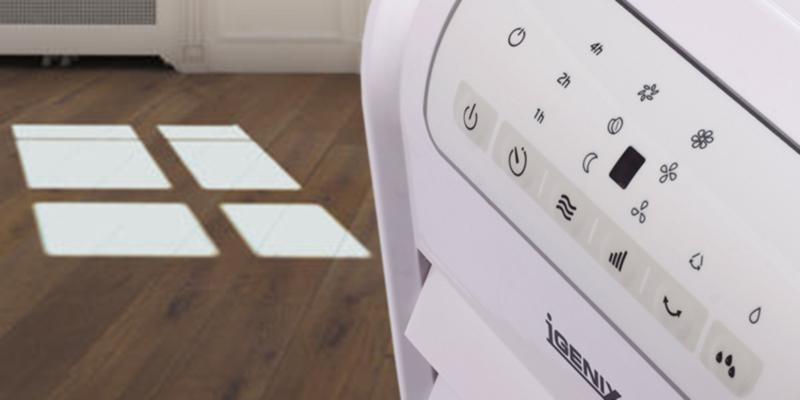 Right off the bat, the Igenix air cooler acts perfectly as a humidifier, air cooler, and an air cleaner. This fairly light model from the said company weighs only 6.45 kg, which makes it quite easy to carry around the house or office if need be. 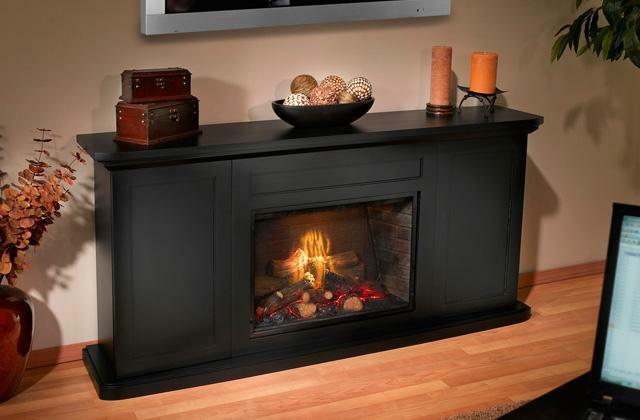 Moreover, the cooler features 4 cast transportation wheels so you can easily move it across the room. 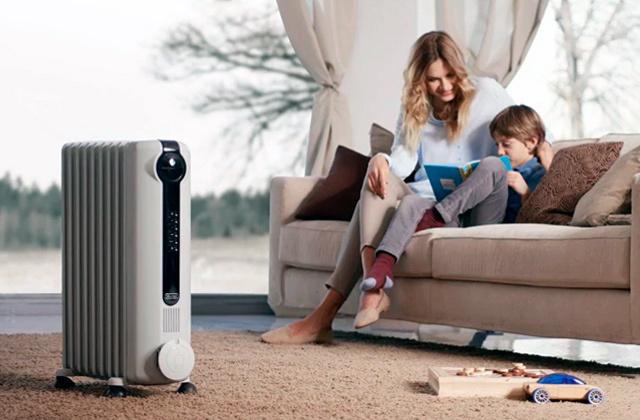 Although this model will not be able to make the whole room cold as an air conditioning system, the cold air that it produces will be more than enough to make the overall air around you cooler and more humidified. 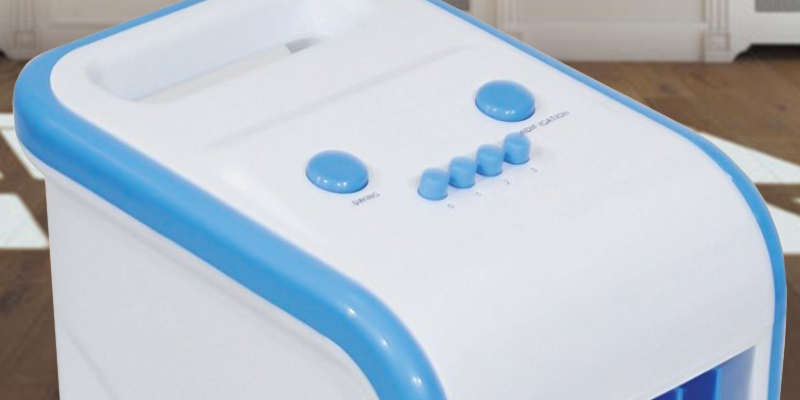 On top of that, the combination of cold water and ice packs that you can put inside the device will definitely make the surrounding space more comfortable to be in. The model also has a variety of different features. For instance, there are 3 different speed settings that make this air cooler suitable for all kinds of different situations. The normal mode provides a steady wind. 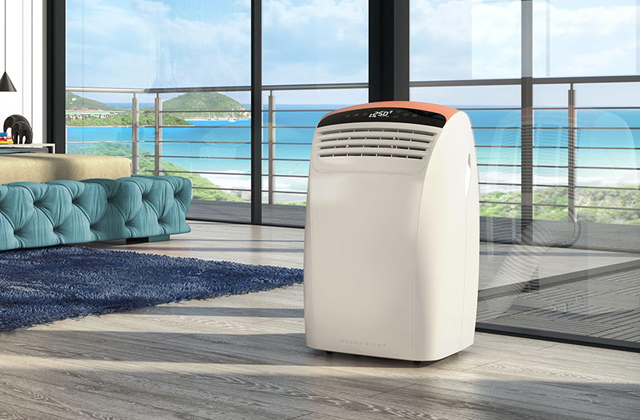 As for the natural and sleep breeze modes, the first can be used to quickly cool the room, while the latter creates a light nighttime breeze in case you want the cooler to operate while you sleep. Quiet, powerful, and easy to use - the IG9703 humidifying air cooler is perhaps one of the best picks for the price out there. The air cooler from OneConcept is a combo model that has a 4-litre water tank, which is quite unusual for a 6.8 kg device. Despite that, the ACO3 is a relatively powerful device as its power consumption is about 70 W per hour. As for the effectiveness of this unit, it can easily move around 400 cubic metres of air per hour, which is quite impressive for such a compact model. 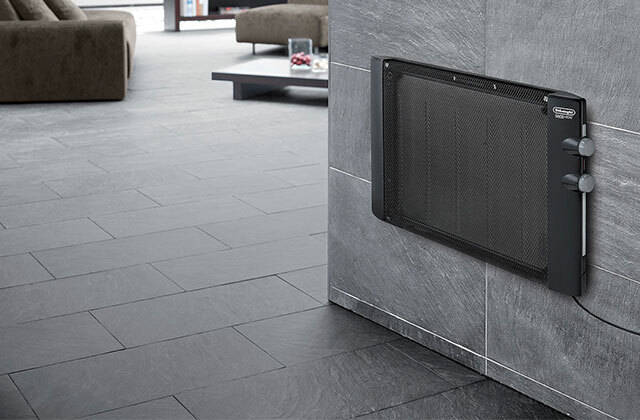 With a special combination of a dust filter that cleans the air and a water evaporator on board, the appliance is capable of cleaning the air quite effectively, which will come in handy in case you do not own an air humidifier yet. 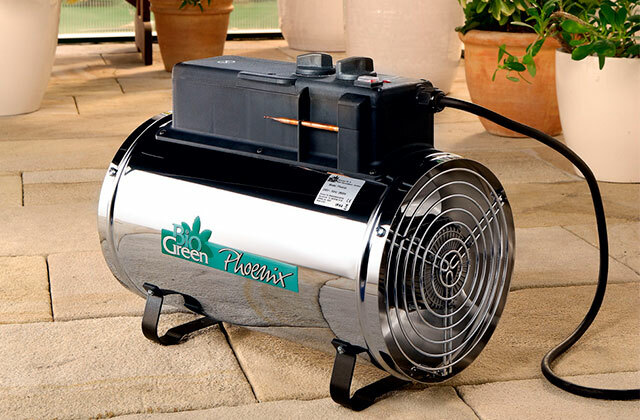 What is more, a completely environmentally-friendly air cooling system makes the air around you much fresher. 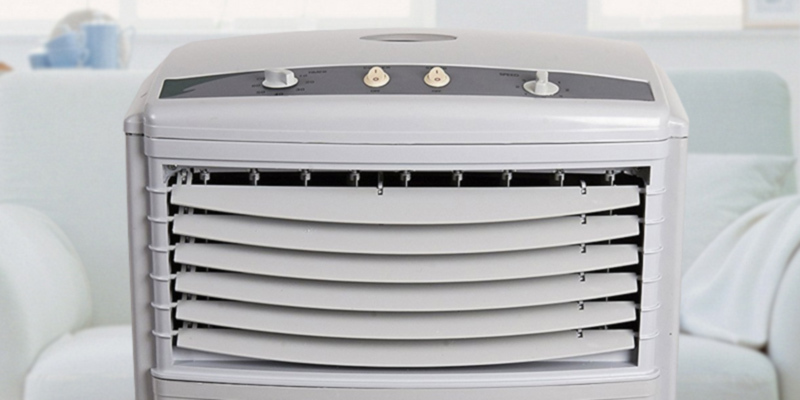 Although this air cooler is not as powerful as your standard air conditioner, when used as a regular fan, the device produces a steady breeze that will be more than enough to cool you off on a hot summer day. Additionally, the device comes with two ice packs that can be refilled when needed. Unfortunately, since the model's water tank is somewhat limited, you will have to do this quite often to keep the temperature in the room at a relatively low level. In conclusion, even though ACO3 from OneConcept features some minor drawbacks, it is, without a doubt, one of the most powerful mini-coolers on the market, and that alone makes it a great product. What makes a good air cooler? Well, most of all, it has to be effective, easy to use, and not too much of a pain to maintain. 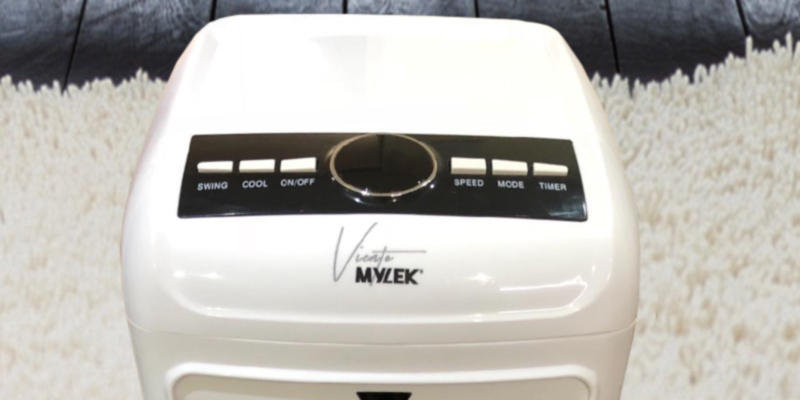 On that note, unlike other similar models, the Viento Medium from MYLEK has a fairly convenient user interface with a large LCD display and a set of buttons instead of your usual dial handles. Additionally, the device comes with a remote control, which is surprising considering the price range that it occupies. The remote control that works even from 10 meters away will come in handy if you need to change the cooling mode or the fan speed while doing other things. 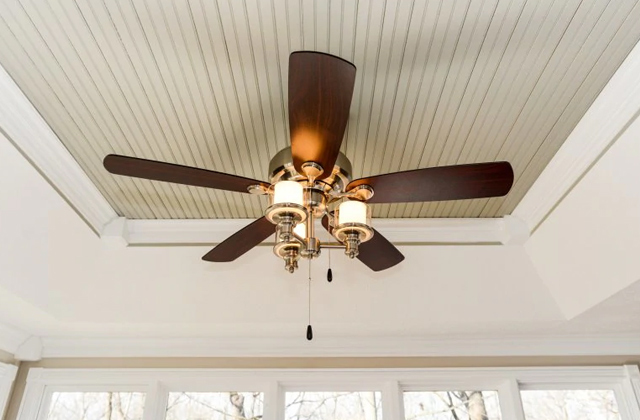 In addition to the great capabilities of the fan, the appliance also features a swing mode that takes no time to evenly cool a particularly large area. The only drawback of this model is that it can get quite noisy when used at the maximum speed mode, so we would recommend turning off the device during the night time. The air filter can be conveniently disassembled and washed when you need it. Although you can use the tap water in order to make the room more humidified, we strongly recommend using filtered or distilled water since it will be easier to clean the air filter and the evaporator. On top of that, about 90% of the liquid will turn into the air you breathe, meaning that using clean water will improve your health and your general well-being. To wrap things up, the lightweight and portable Viento Medium will be an ideal pick for a small office or a medium-sized flat and will serve as your saver from the heat during the hot summer season. The oscillating model from Benross is perhaps one of the most basic models out there since the manufacturers clearly tried to keep the interface of the device as simple as possible. For instance, the appliance features your standard switches and dials on the top panel for switching between the cooling, swing, and fan modes. 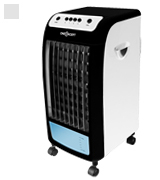 What is more, the fan has an oscillating function that helps when it comes to even air distribution. Since the device has mechanical controls, you won't have to select your preferred settings every time you turn it on. Despite the seemingly light weight of the device, it can be quite heavy when its tank is full of water. As for the water consumption of this model, it is around 0.45 litres per hour, which in combination with a large 7L water tank makes it one of the heaviest mini-coolers. The tank with this sort of capacity will allow you to leave the model on for more than 15 hours before you will have to pour some water into it. 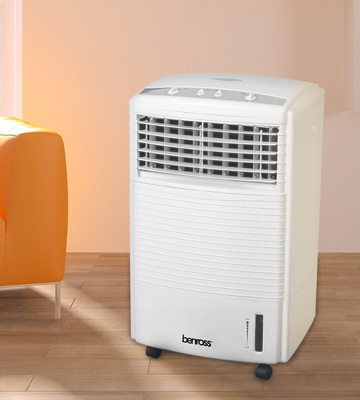 Similar to other models, the Benross air cooler has a timer feature that can be used to pre-cool the room during the hot days. That being said, the timer offers an autonomous runtime of 1 hour that will be more than enough to make a small room several degrees cooler. Although this model can be rather bulky for some people, it is extremely reliable in terms of cooling small housings and offices. The LEUKKALG11107 from Prem-I-Air is perhaps one of the most efficient small air coolers out there. 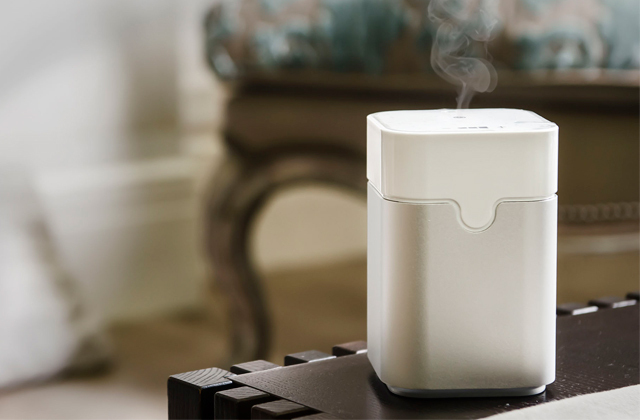 Despite its modest dimensions, the device is capable of effectively cooling small to medium rooms in less than an hour. The particular model comes with two reusable ice packs that are basically two plastic bottles of water made of sturdy plastic. Hence, each time the unit runs out of ice, you can simply refill the containers and put them in the freezer to use them again. The combination of ice packs and water makes the air both cool and humid, which significantly drops the temperature indoors. As for the other parts, we would like to point out that the air filter can get dirty over time and, unfortunately, there is no way to clean it manually. Thus, we recommend purchasing a replaceable filter from the manufacturer in advance if you intend to use the device for more than a few months. 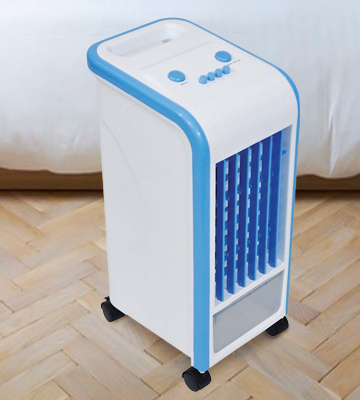 Other than the fact that it is easy to use, this compact air cooler will automatically turn off during the voltage jumps or grid overload, which makes it a safe option in the bedrooms during the nighttime. 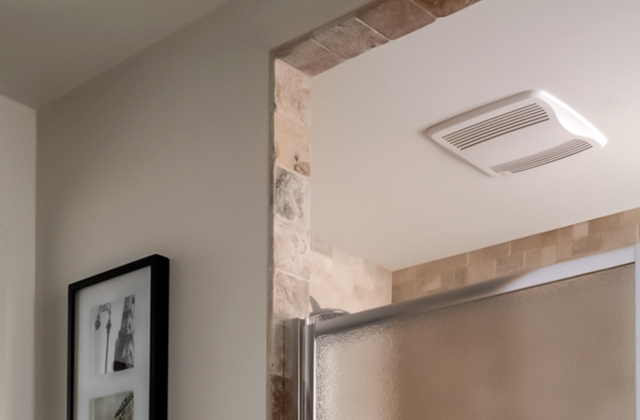 All in all, the air cooler fan from Prem-I-air is an essential air cooler for home use, especially when you need a personal AC unit that is both light and effective. 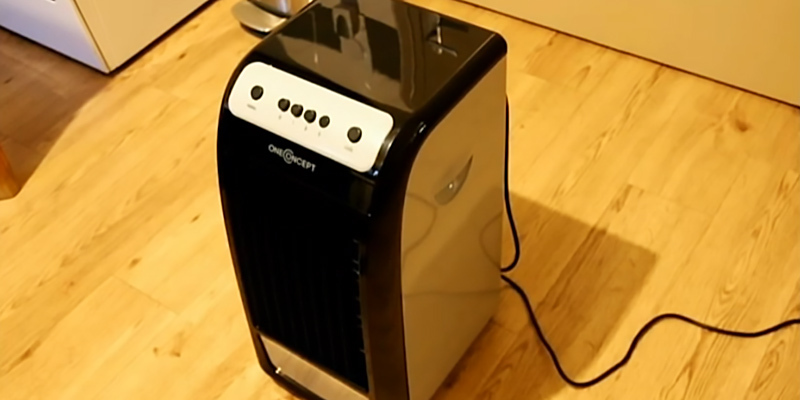 What Is an Air Cooler? We all wish for the summer to come along and save us from the chilly spring weather. But when it inevitably does, we also get a reminder that summer isn't all sunshine and rainbows, it is also a scorching hot temperature that makes you want to live in a freezer until the fall comes. Different people try different methods of bringing that temperature down to an acceptable minimum. The problem is, an air conditioner consumes way too much energy and a personal fan is simply too inefficient. 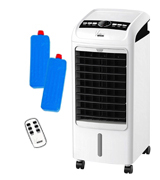 Fortunately, a portable air cooler is arguably the best solution to the problem. 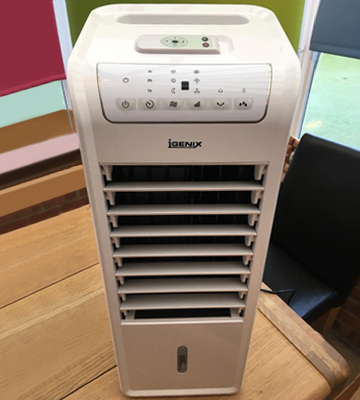 It doesn't consume too much energy, the majority of them are light and compact enough to be portable, and, unlike regular fans, a cooler like that also humidifies the area around the user. All you have to do is simply pour some water into the water tank, plug the device into the required power supply, and enjoy somewhere between 4 to 8 hours of fresh air, depending on the model. Some of those models also include LED lights and, not dissimilar to standard fans, the absolute majority of air coolers come with 2 or 3-speed settings that you can adjust according to your preferences. That said, even the best air cooler won't be able to control the temperature in the entire house. So, if that's what you want to do, you might want to purchase an air conditioner after all. 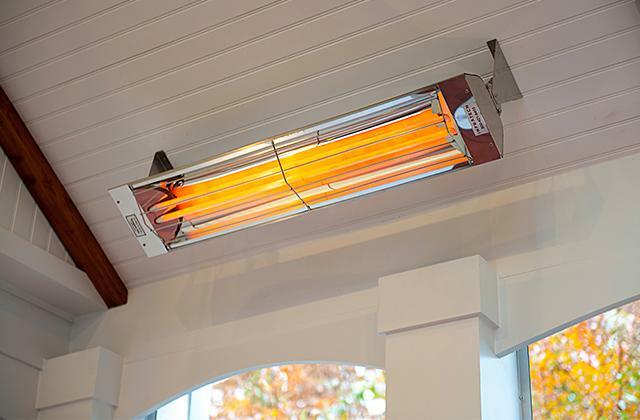 And when the summer is gone, get yourself a ceramic heater or a patio heater to keep yourself warm.